- Maestro mixer and routing settings, now located in Ensemble's non-volatile memory, enable storage of settings in Ensemble. - Allows the use of Ensemble as a converter from analog to optical, coax and optical, or coax to analog, as well as other possible configurations. 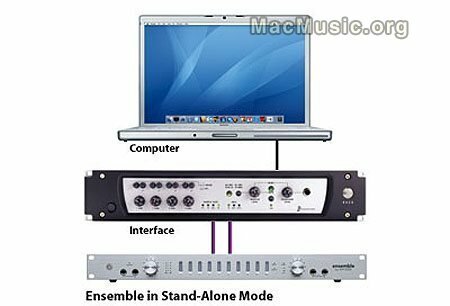 - Changes to routing or settings in Maestro still require connectivity to a Macintosh computer.